Set in the heart of the America Ground in Hastings Town Centre, the Creative Media Centre provides attractive, fully managed offices and support for start-ups, freelancers, and growing companies. The brief was to design and produce a marketing brochure to promote the affordable office space available. Prior to the design of the brochure Designcrew were commissioned to design Hastings Business Operations (HBO) corporate Identity. 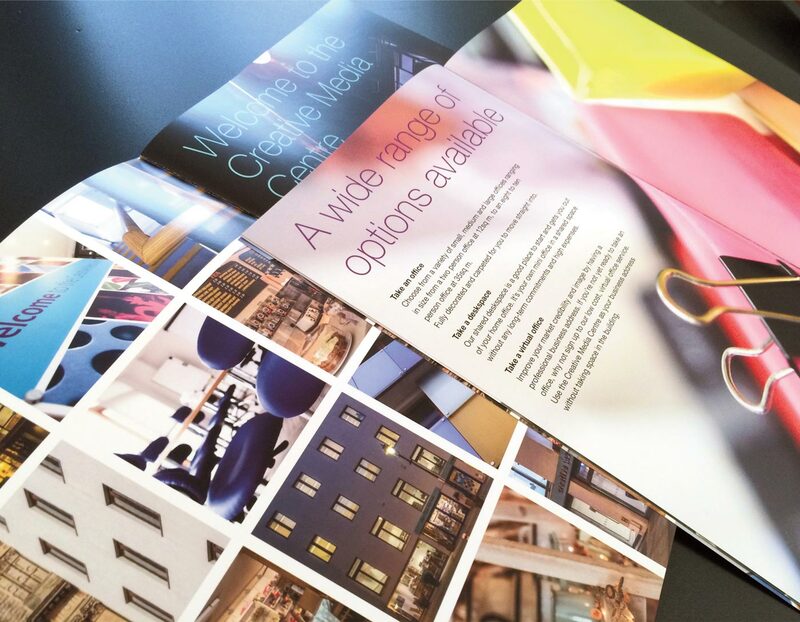 Designcrew suggested design for the promotional literature was the use of bold colours with artistic, modern and vibrant photography to encapsulate the fast moving newly built building. We’ve also created a number of identities and guidelines for projects supported and driven by HBO.